Cathy Blake FASLA, SAPM, LEED AP, has been an active leader in the field of Landscape Architecture with a career spanning 40 years. In the early years, she co-founded the San Francisco office of POD, Inc. which ultimately became Sasaki Associates. At Peter Walker and Partners she was a project manager and the Partner responsible for the firm’s first Process Architecture publication and the merger with William Johnson. For the past 20 years, she has been the University Landscape Architect and is the Director of Campus Planning and Design for one of the most prestigious institutions in the country, widely recognized for its spectacular beauty and landscape integrity. The Landscape White Paper Blake wrote is the guiding philosophy for all current work done within Stanford University’s 500 acre central campus. During its $5 billion building program, she has been the Client responsible for bridging Olmsted and Church heritages with modern environmental concerns and prestigious contemporaries including Peter Walker, Tom Leader, George Hargreaves, John Wong, Cheryl Barton, and Andrea Cochran. Cathy is also lead designer for many campus projects with her in-house design team. The campus, landscape, and infrastructure have received awards and acknowledgements in all arenas including ASLA, AIA and SCUP (Society of College and University Planners) and is the top Platinum U.S. Bike Friendly University. The University’s campus has become a model for other institutions. Blake also believes in professional engagement. 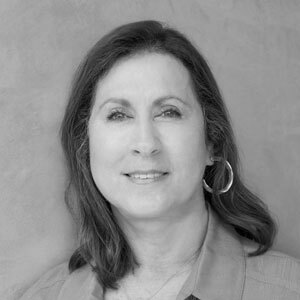 She taught Design and Landscape History at Stanford for 10 years, was chair for three years of ASLA’s Campus Planning and Design Professional Practice Network, and Jury Chair for SCUP’s national design awards in recent years. She served on the Harvard GSD Alumni Council and was a member of the California State Accreditation Board for the UC Berkeley LA Extension program. Blake presents at SCUP and ASLA national meetings and tours groups from all over the world sharing her knowledge about the landscape, Stanford’s design heritage and sustainability. She is a Fellow of the American Society of Landscape Architecture, a graduate of Stanford’s Advanced Project Management Program and a LEED Accredited Professional. Blake currently serves on the Northern California ASLA Board.